U.S. Customs and Border Protection (CBP) Field Operations officers arrested 24-year-old Aracely Sauceda, Wednesday, as she walked across the Progreso International Bridge returning from Mexico to her Santa Rosa, Texas, home. 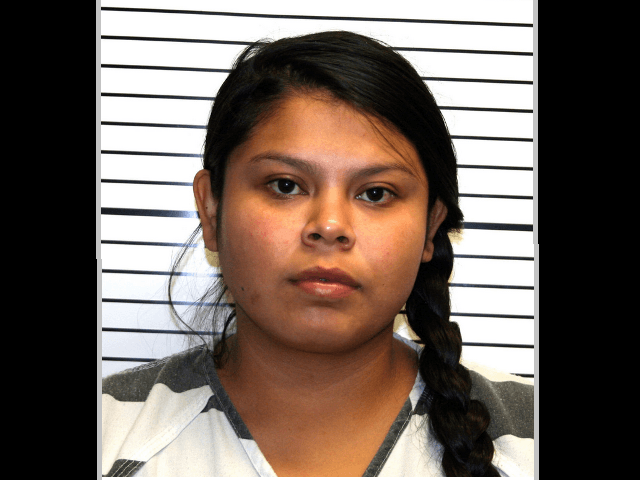 Initially, border officers flagged her as a possible match for an individual with an outstanding warrant issued by the Burleson County Sheriff’s Office, according to a CBP press release. They ran a second inspection, confirming her identity using biometric tools available through the national law enforcement database. CBP turned Sauceda, who is an American citizen, over to the Hidalgo County Sheriff’s Office. In 2017, Sauceda started her second year as a high school Spanish teacher in the Caldwell Independent School District when rumors spread among students that she was romantically involved with a 16-year-old boy on the campus, according to The Bryan-College Station Eagle. District officials notified the Burleson County Sheriff’s Office. Together, they investigated these claims. Then, on September 15, the school district placed Sauceda on administrative leave. The next day, she resigned and turned herself into Burleson police. They charged her with Improper Relationship Between an Educator and Student, a second degree felony, as well as Indecency with a Child. If convicted, she faces up to 20 years in prison on the second degree felony alone. At the time, Caldwell ISD Superintendent Andrew Peters told the Bryan-College Station newspaper that district administrators took allegations of sexual misconduct seriously and “we are [just as] frustrated as the general public is with the stories of inappropriate relationships.” He referenced the teacher-student sexual misconduct deterrent law, Senate Bill 7. “Recently, the Legislature toughened the penalties on principals and superintendents, however, I believe they need to be tougher on the teachers doing these illegal activities,” stated Peters. Last year, Texas state lawmakers cracked down on the rampant reality of educators who solicit and/or engage sexually with students. They passed Senate Bill 7, which Governor Greg Abbott signed into law. It closed several loopholes and imposed stiffer penalties on education professionals convicted of sexual misconduct with students. Convictions also result in the loss of teaching credentials and pensions. As Peters noted, it holds school administrators to more rigorous account with jail time and fines if they fail to report these cases. The Texas Education Agency (TEA) opened a record 302 investigations of reported improper teacher-student relationships during the 2016-17 school year. This marked the ninth consecutive year that the number of these cases skyrocketed. Recently, Senator Paul Bettencourt (R-Houston), lead author of SB 7, told Breitbart Texas that he and his staff continue to monitor the law’s successes, although he hopes to accomplish more on the issue in the 2019 legislative session. “So far, the number of recorded cases at TEA has increased by 50 percent this year, on top of a 43 percent increase last year, which means that a record number of revocations of teaching certificates is occurring,” stated Bettencourt. In February, Breitbart Texas reported that Abbott proposed a “do-not-hire” registry for education professionals and other public and charter school employees “convicted of or placed on deferred adjudication for improper relationships with students” as a means to further end these loathsome teacher-student predatory relationships.